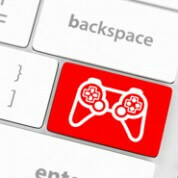 What are the major trends on the global online gaming market? How high are the digital, mobile and social gaming revenues worldwide and what are their growth forecasts? What are the key developments on the online gaming markets in the major advanced and emerging markets worldwide? Digital gaming revenues already account for a double-digit share of the gaming revenues worldwide and are forecasted to see their share rise further. Generally, as video game software sales growth slows or declines, mobile and online play are pushing digital game sales higher. Among the important trends worldwide are the proliferation of the free-to-play model, and the phenomenon of video streaming of games and eSports grows in popularity. Mobile games are the brightest performer: gaming revenues via smartphones are forecasted to double through 2017, while gaming revenues via tablets are expected to triple. Though competition has intensified with new entrants and a large number of small publishers, the market is still dominated by large publishers, with blockbuster games such as the Clash of Clans by Supercell and Candy Crush by King. Another growth segment is social gaming, which benefits from and contributes to the increasing popularity of free-to-enter games. Asia-Pacific was the largest mobile gaming market and the largest games market overall in 2014. 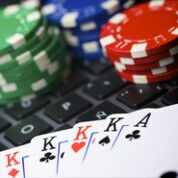 Online gaming revenues there are forecasted to continue growing at double-digit rates in the next several years. In China alone, there were several hundred million online gamers, involving over half of Internet users. By mobile gaming revenues, China is set to overtake even the USA in the near future. South East Asian markets are drawing the attention of Asian and international gaming companies, with close to a hundred million online gamers in total in the region, and an even larger number of mobile gamers. Meanwhile, in North America a common trend in both Canada and the USA is declining revenue of pay-to-play multiplayer games, while the free-to-play model is on the rise. In the USA, digital gaming revenues topped physical game sales for the first time two years ago and have retained that leadership. In recent developments in Europe, mobile phones topped stationery PCs as the device most used for gaming in Germany in 2014. In the UK, the pace of growth of online gaming revenues slowed, while in France offline games spending was still higher than online and mobile, but already a double digit-share of gamers played exclusively online. Apart from mobile, a significant growth driver of online gaming in Russia is social gaming, with social networks such as Odnoklassniki and Vkontakte deriving substantial revenues from games. In Latin America, the largest market by far was Brazil, while throughout the region mobile and social were the growth segments in 2014. In the Middle East, countries like the UAE, Saudi Arabia and Oman saw double-digit shares of Internet users playing online, while in South Africa mobile gaming already by far surpasses PC gaming revenues.